FAQ: Social media and journalism: dehumanising? As part of my semi-regular FAQ series, here are some answers to a series of questions posed by someone as part of their research. To what extent do you believe social media has removed the barrier between journalists and the public? Significantly. Journalists are trained to find regular sources of news – that mostly means formal organisations such as government bodies, unions, press officers, and a few community figures such as the local vicar, postmaster etc. Social media makes it possible for them to find a much wider range of sources, on-demand. For example, those near the scene of an incident, or working in a particular industry at the coalface rather than at a management level, experts, and so on. My own research on blogging some years back suggested that this had an impact on what angles they took on stories and which ones they covered. Do you believe social networking has made your job harder? By having to juggle journalistic duties with maintaining Facebook or Twitter pages and deleting unwanted comments or potential law suits. It’s made the journalist’s job harder, yes. But your distinction between “journalistic duties” and “maintaining Faceook or Twitter pages” is false: those are journalistic duties too. If you want sources to find you, or you want your reporting to matter, then that’s crucial. Personally I treat social media activity as a crucial part of newsgathering: it’s like hanging around the courts or arriving early for an event – you make yourself available to people, establish relationships and that ultimately makes your job easier in the long run. What makes your job harder is ignoring social media and then wondering why you never get any decent contacts or stories. It’s because sources can’t find you, don’t trust you, or don’t think you care. Do you think journalists follow trends or set them online – is it any different to print in this aspect? Both. This is very different to print. There have always been stories about ‘public reaction’, but normally that has required a demonstration, protest or petition. Now if an issue begins to build up speed online, that’s enough to trigger interest from the press. They have a keener insight into what people are bothered about and want to see reported. It also provides a new way to report something ‘new’. An otherwise ‘old’ story can become newsworthy because of the ‘new’ reaction, as happened with Trent Lott. How much of an influence has social media had on your career? Massively, obviously. It’s my workplace; my contacts book; my CV; my archive. But it’s not my whole world. In what way do you mainly interact with your online audience? It varies depending on what I’m doing. But broadly I’m listening to what they’re talking about; I’m sharing things I think are interesting, and asking for inputs on things where I need help. How important do you believe it is for a first-time journalist to be involved with social networking in order to be successful? Essential. Every employer says they are looking for evidence of social media experience, and ultimately if you are not curious about your own industry then you’re not going to be a very curious journalist as a whole. Also, your social media presence is part of your asset as a first-time journalist. Someone who has 5,000 followers, or a strong PageRank on their blog is going to have something extra over another person who is identically qualified and skilled, but doesn’t have that community behind them. Do you think using online dehumanizes journalism? Does using print (a technology) dehumanize journalism? Does using the telephone (a technology) dehumanize journalism? 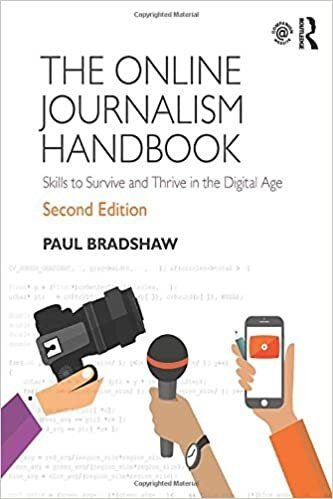 Does using the alphabet (a technology) dehumanize journalism? Journalism is about communication between people – humans. Funnily enough, making tools is one of the things that defines us as human – very few animals do this. 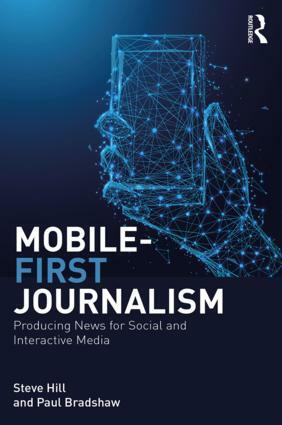 Do you think professional journalists are at the mercy of social networking in the sense that a journalist is at a severe disadvantage among other journalists if they do not use it? Well, there are two questions here: are journalists “at the mercy” of social networking? No, of course they have a choice to use the tool, and social networking is not an agent that does anything. But they are answerable to an audience, and in that sense they should be listening to that audience. Also in that sense, to answer the second question: they are at a disadvantage compared to other journalists if they are not listening to their audience, or if they are not following breaking news – just as they would be if they didn’t use the newswires. Many people complain journalists cannot see from the public’s point of view. In your opinion do you think journalists are communicating less with their audience online or does it have more to do with the public become more demanding? I think sometimes the public misunderstands that news does not mean what someone thinks is important: it is something new about something that is important, and important to a particular audience. Some audiences are better served than others, because they are more appealing to advertisers, proprietors, etc. I don’t think journalists are communicating less with their audience online – I think they are learning how to communicate more. And yes, I also think the public have become more demanding as they have gained access to those journalists directly, as well as access to the journalists’ sources of news: they can see when facts have been twisted, or ignored, or a story bluffed. Do you have any opinion on the dissertation title: “Journalists are following – not leading. Journalism is now at the mercy of public trends, acting based on what is happening on social networking sites.”? I think like so many perspectives on the internet’s impact on journalism, it is very black and white. Journalism has changed in response to the possibilities that the internet has opened up – in both good ways and bad. I’ve written quite a lot about this in ‘What’s your problem with the internet?’, which deals with the most common criticisms of the web. I see no evidence of such an extreme argument – I don’t see editors ‘at the mercy’ of social media: I see reporters who use it as one ingredient among many sources of information in putting together the news agenda. In other words, editors are no more ‘at the mercy’ of social media than they were ‘at the mercy’ of press officers, or government, or the unions, or pressure groups before. These are all important sources of news and wield varying degrees of influence over the news agenda – but individually none has the media under such control. This entry was posted in faq, social media, user generated content and tagged dehumanising on December 5, 2012 by Paul Bradshaw.